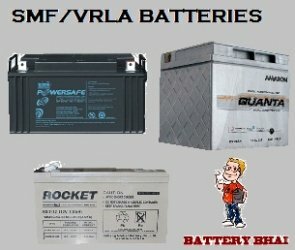 BatteryBhai offers VRLA/SMF, UPS batteries online at best prices. Choose wide range of Exide Powersafe, Amaron Quanta & Rocket UPS system batteries. Free delivery & installation at your door step, with EMI using Credit Card and other online payment mode.